The talent Oliver Sean possesses is apparent when one takes in his ever so slightly raspy voice, rendering his own lyrics set to melody. The aroma of Goan soil comes wafting through the musical notes, gently hinting at Oliver’s Goan roots. He says he discovered his vocal range at the tender age of four, realising he also had the capacity to sing in key. He went on to teach himself the guitar at the age of eight. Oliver Sean’s Portuguese Goan ancestry is evident not just through his appearance but in his desire to preserve Goan culture. He says, ‘To me home is Goa and I have a very close connection to this land. I'm proud of my unique Portuguese Goan culture and am sad to see it slowly and steadily disappearing from Goa.’ As a young boy he grew up in the village of Loutolim . He considers music a personal journey and an intrinsic part of his being. Therefore, he believes that his true self is revealed in his music. His lineage, the manner in which he was brought up, the various other countries (Dubai and the UK) that he adopted as home in turn, his relationship with his mother and his love for animals, together colour his music. A unique contribution made by Oliver is the creation of a record label that vouches to protect the integrity of Indie musicians’ work. WOA stands for Wanda Oliver Artists Group, named for his mother Wanda and himself. Conceived as a recording studio when Oliver was in Dubai, it developed into a full-fledged record label after the success of I Like It, his debut album. Controversy is the companion of many a famous personality. So it was with Oliver Sean when Xiren or Darryl Kenny, an American Indie singer, was selected on WOA’s first tour in 2008. Xiren, along with a number of other performers, was chosen to allow Indian fans to enjoy the experience of new independent music. In his blog, Xiren has portrayed Oliver in less than flattering light. Oliver maintains it was Xiren who ran up hotel bills, put up dismal performances at rehearsals and finally slunk off into the night. ‘…due to his embarrassment of being labelled a thief (there was a police complaint against him by us and the hotel); we told the world about him and the Hard Rock Cafe said they didn't want him to play at their venue in Bombay and Pune, this guy started putting up horrible things about me and WOA,’ says Oliver. He says there have been no hitches in the WOA tour since then. Now in its seventh year, the WOA tour started on 31st January and ended on 7th February. 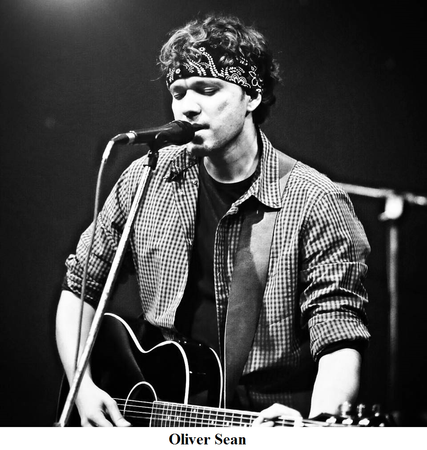 An MTV EMA nominee for Best Indian Act, 2012, for So Good, Oliver has a number of hits to boast of. He has even been considered for the Grammy Award nomination list. He has aspirations of winning the coveted awards, but for now is satisfied and rejoices in coming as close as he did to winning them. Ever the animal lover, the earnings from his latest release Oliver Sean, The Bootleg Recordings, Vol.1, a live and unplugged EP, have been given over to animal welfare.